From Goodreads ~ Annie Welles is an officer with the Halifax Regional Police’s Robbery and Violent Crimes Unit. Recently divorced without custody of her two young sons, Annie’s career is now stalling under the ambitions of her ruthless colleagues. John Taggart is a Scottish journalist looking to land the scoop that will secure his future. In Halifax to cover the Royal visit, John finally has a chance to understand his mother’s connection to the province, which she has always kept hidden. 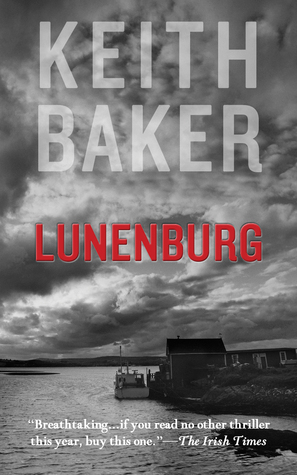 When two murders occur within 48 hours, they are both led to the small, picturesque town of Lunenburg and a 30-year-old murder case with a long-buried secret. The town’s dark past may hold the answers they both need, but digging it up could mean more danger than it’s worth. The book opens with a 12-year-old boy witnessing a murder outside the small community of Lunenburg, Nova Scotia. Thirty years later Annie Wells is a police officer in Halifax, Nova Scotia. She is divorced and had lost custody of her two sons to her ex-husband (who has since remarried) because of her demanding job. Two unrelated murders happen one night, which is two too many. The Bluenose III has been built and is set to sail in Lunenburg with Prince William doing the honours. But a suspected terrorist has been found to be nearby so this may cancel the prince's visit. John Taggart is a UK journalist who has been sent to Nova Scotia to cover the royal visit. His mother and her parents had lived in Nova Scotia before he was born so this gives him a chance to perhaps learn some of the secrets in her past. Annie and John are introduced by a mutual friend. As Annie investigates the murders, she learns that John may be involved so she helps him find out more about his family as she discovers more about the murders. I liked this book. I thought the story was interesting. I liked the writing style ... it's written in third person perspective usually from Annie and/or John's point of view. I found there were a lot of characters in the police forces and I couldn't keep track of them. As a head's up, there is swearing, violence and adult activity. The author is from the UK and this book was originally published there in 2000 ... this soon becomes apparent in the writing though the book was republished in Canada 15 years later. There are two voices ... Annie's in Canada and John's in the UK and then Canada. Annie uses terms, though, that a Brit would use ... like "mobile" instead of "cell phone" and "surgery" instead of "doctor's office". The author did a good job in staying fairly true to describing the locations in Nova Scotia so it would have been nice if he made the extra effort to use Canadian terms when the story was taking place here. One thing jumped out at me right away in the prologue, which is set in 1970. 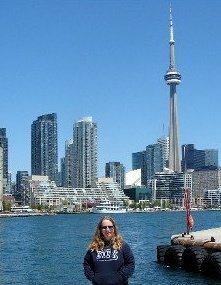 The young boy was wearing a Toronto Blue Jays ball cap ... but the Blue Jays weren't around until 1977. I give the author props for including local things but he should have done a bit of homework.